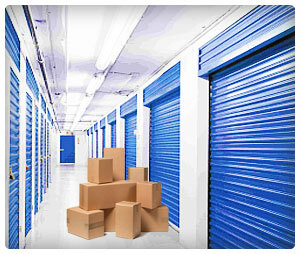 Moving Guru » Moving Guide » What Are Business Storage Units? What Are Business Storage Units? Do you need self storage for your business? Self storage units can be very useful for businesses of all sizes. Usually cheaper than rental properties per square foot, business storage units are a great way for a business to save money by operating out of a smaller office. That being said, are storage units for businesses really that different than normal storage units? No, not really. While it’s possible that some storage facilities will have special units with file cabinets and outlets, most just offer normal ol’ storage units. That is, they offer empty spaces to put your [business] stuff in. Nevertheless, they can be helpful. Location – Make sure your unit is close to your main office, so you don’t have to kill a day to get an important document. Climate control – Paper and electronics can get ruined if kept in hot and humid temperatures. Get a climate-controlled unit to prevent this. 5×5 – can contain the supplies of a small office. 5×10 – can contain the supplies and furniture of a single office room, roughly. 10×10 – can contain the supplies and furniture of a large office. 10×15 – can contain the supplies and furniture of a couple office rooms. 10×20 – can contain the supplies and furniture of a large office with multiple rooms. Now learn about how much self storage units will cost your business.